Here is a quick marketing idea to help bring in new patients to your practice. At the very least it will plant some marketing/advertising seeds. 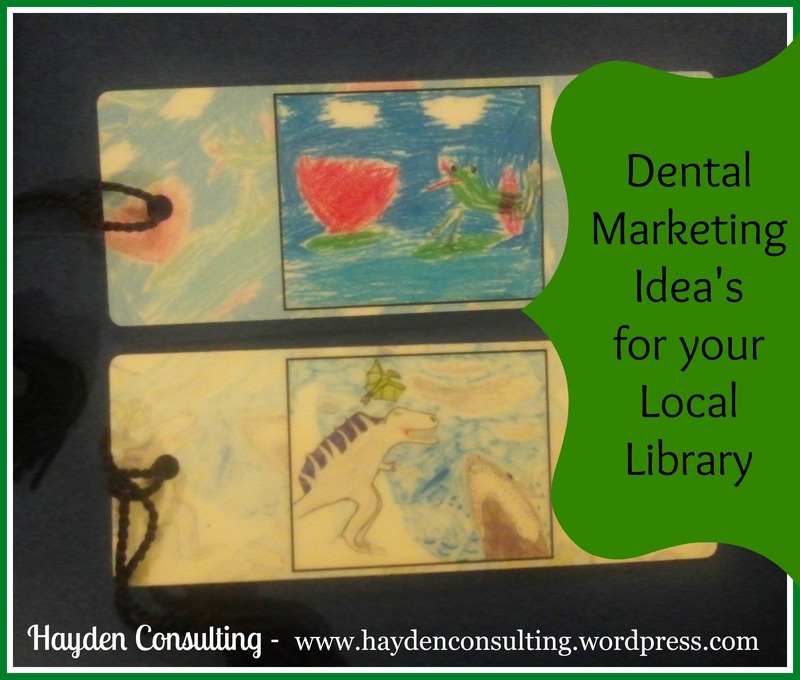 Bookmarks – Create fun, interesting Bookmarks for your local library that include your office contact information. Deliver these bookmarks as a gift to the library to give away during their summer reading programs and events. Prizes – During the reading program at our library, they offer little prizes to the children after they complete so many minutes of reading. Why not donate Little Prizes that they can give away to the children. If you get individually wrapped prizes be sure to place a label on them that says Compliments of your office name. If they are not individually wrapped, be sure to add some type of tag to the prize that includes your office contact information. Visit the Library – Offer to come in for a dental health presentation/demonstration/experiment. Similar to what you might do during Children’s Dental Health Month. Feel free to tell your dental friends all about us so they can start benefiting from these dental ideas too. Thank you! This entry was posted in Customer Service Tips, Dental Success, Marketing Ideas, Practice Management and tagged betty hayden, betty hayden consulting, betty hayden dental consultant, betty hayden hayden consulting, childrens dental health month, customer service, dental, dental advertising, dental coaching, dental cross marketing, dental education, dental marketing, dental marketing ideas for libraries, dental marketing ideas for summer, dental marketing library, dental marketing to libraries, dental marketing to seniors, dental marketing to your community, dental marketing to your local library, dental office, dental office bookmarks, dental practice management, dental senior appreciation day, free dental marketing ideas, general dentist marketing ideas, grow your practice, hayden consulting, how to bring in new patients, how to fill the schedule, how to get more new patients, how to grow your dental practice, library, library lovers month, lip balm, marketing ideas for pedo office, marketing ideas to bring in new patients, pediatric dental marketing, summer reading program, winter dental marketing ideas. Bookmark the permalink.